I was fifteen, never in love, and yearning to leave home when a red, two-seated convertible drove up to our gate. The driver’s door opened, and a girl of twenty-two with a perfectly shaped, light-skinned body emerged in a see-through dress that showed almost everything, and I imagined the rest. My father, a tall, imposing figure of a black man with bulging muscles from carving statues and grave markers for the dearly departed, tried not to look. He felt strange around women, I assumed because my mother had left when I was two. He never talked about her or much of anything, and we lived alone on a twelve-acre plot of half swamp property where I suffered his long silences broken only by the sharp blows of a hammer driving a metal chisel into stone. Well, this girl was a treat for both of us. She closed the door and looked to our been-here-forever, two-room shack raised two feet off the ground by concrete blocks, with only a screen door on the front and all the windows up to catch a breeze. My father worked on, but slipped a glance when he knew she wasn’t looking. She walked through the opening in the iron fence that stood on the front line of the property. That gate had never kept anything in or out. My great grandfather had installed it in the time of Calvin Coolidge to let people know he had made some cash farming, and my father was too proud to recycle it. Neither the shack nor the fence impressed the girl. “You lost?” I said walking up to her, smelling the freshness of soap and perfume seeping through the humid air. “I’m looking for . . .” she turned as if she might go back to the car to find the name. “Ephraim Picard. Graveyard Stones and Statues?” I said. “Yes. But I expected . . .” she paused, looking at me with soft deep-water eyes that made me want her so bad I thought I might explode. “A sign that say the business here?” I said. “I show you something in the barn might satisfy you some,” I said and waved for her to follow. We headed for our barn, not very big and without doors on the front or back so birds flew through without landing. A rusted, out-of-gas forklift half-blocked the door, and I put out my hand for her, which she took, and helped her wobble in her spike-heeled shoes over the two prongs of the fork into the barn. “Quite the gentleman,” she laughed. Inside on the dirt floor sat blocks of stone and marble randomly stacked, mostly by me. I led her to one corner that was in shadows, but with enough light to see the only sample I could think of showing her. 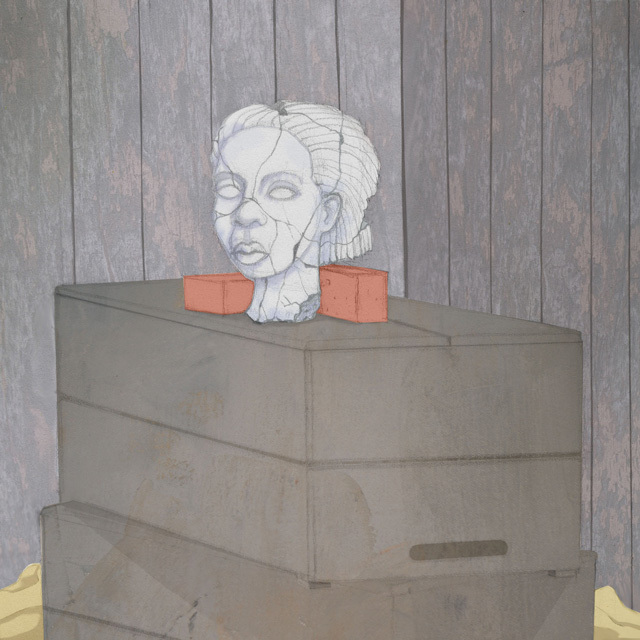 I pulled a tarp off a marble sculpture of a woman’s head propped up on two stacked wooden crates. “Why has it got all those lines through it?” she asked. “It got smashed,” I said. Her hands lightly touched the surface, like a blind person trying to remember someone. “Nothing,” I said quickly. But Papa had made it and destroyed it. I pointed to a rusted tub filled with marble chips, most smaller than an egg from being smashed with a hammer. She stood back, walking from side to side to see the whole head. “Well, she must be beautiful in person,” she said. “She is,” I said, but I didn’t really know. I was only two. I led her out of the barn, helping her again over the forklift, but she said nothing about my manners this time. We approached my father carving a marble angel. She stared. It wasn’t a typical graveyard cupid-looking angel made by Italians and chubby with fat as if it couldn’t fly. That wasn’t Father’s way. This angel had a small body with huge muscular wings stretched out on each side. It looked like a hawk in a dive, the smooth-top head cranked back as if catching the full force of the wind, the legs bent back at the knees. My father didn’t put clothes on his angels and I wondered what this woman thought about male private parts hanging down. “You needing something?” Father didn’t stop working. “That was your daddy?” I said. My father and I had seen the Reverend once in a church we rarely attended up river about a mile. He was campaigning for senator or governor – I don’t remember. People yelled and cheered. He had a fat stomach and bulgy eyes, and his solid black capped-toe shoes were polished so they reflected the sun like the mirror-surface of a still pond. “Takes time,” my father said. It wasn’t his busiest time, and I thought he’d be eager. But then again, he wasn’t a man to jump at anything fast. I, of course, wanted to see this girl as much as I could. With time, I knew I could get her to like me. I was full-grown for fifteen and packed with muscle from lifting those blocks for my father. She waited for an answer. My father had this infuriating habit of not talking when the silences between him and others clearly demanded some words. “He do it,” I said. “Will you?” she said to my father. “Bigger than life takes time,” he said again in his deep voice husky from not talking often enough. “I do the writing,” I said proudly, “He don’t write.” Father had worked cane; then he was cleanup boy for a white tomb maker near Lafayette for a while. He learned to carve by watching. I guess he never even thought about school; he’d worked steady and hard his entire life. “Pick the stone tomorrow,” Father finally said, still working. “You need to bring all his pictures,” he said to her. She sighed and walked back to her car. I ran to catch up with her. 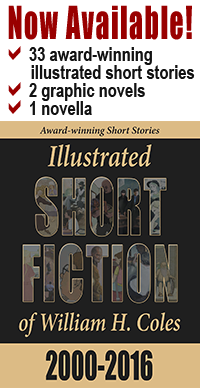 “I hated his guts,” she said, with so much anger I stopped short. I couldn’t think of questions to keep her hanging around, and she got in her car and drove off. The next day I stayed home from school, eager to be with her, and she brought photos and newspaper cutouts of the Reverend for my father to work from. The sky was heavy with gray clouds and a thin gentle rain came down. Father led her to the barn; I followed. He waved his hand at the blocks available. She went straight to a slab of marble veined with copper-colored lines the shade of her skin, but my father shook his head and pointed to a huge block of granite. She walked away fast to let him know she wasn’t pleased. Father went back to the angel. She sat on a gravestone already finished and inscribed for a Baton Rouge preacher. I sat down beside her. “Don’t know how to call you, seeing as I’ll be the one to do the signing,” I said. “The marble’s more elegant,” she said sharply. She held her head in her hands. “I can’t believe he made me do this,” she said. “The Reverend must of trusted you something hard,” I said. I told her fast it was my mother who had left. And when she asked, I told her how I had never seen her or heard from her. “Don’t miss her,” I said. The rain came thicker and we moved under the overhang to the barn, away from where Father still worked. “Why does he work outside?” she asked, her voice soft and friendly for the first time. “For the light. We ain’t got electric out here in the country.” Of course, in the seventies, electricity was available everywhere in Louisiana. But my father didn’t see a need for it. “Naw,” I said, “Don’t worry.” My father was famous for his carving. Even after a few weeks, AnnaTee didn’t gain any interest as to what the Reverend was going to be in stone, but I was like a frog waiting on a fly watching my father finding the man with his hammer and chisel. It still is a mystery to me how he knew what to chip off and what to leave on. One day, AnnaTee and I were talking. She was sitting on a rough stone block, leaning back with her hands behind her, her head slightly back; I had my back against the barn wall with my feet out. “You got a boy friend?” I asked. When she stared at me, I couldn’t tell what she was thinking and my heart dropped like a stone; I’d screwed up. Then she grinned. “You wouldn’t have a crush?” she said with a little laugh. “I ain’t got no crush,” I said, but my heart pounded and ached at the same time. I went into the house and sat on the floor next to my bed. I picked notes on a rusty Dobro my uncle had given me, but I couldn’t make music. I refused to go out, even when I knew it was time for her to leave. I waited every day before going to school to see if AnnaTee would show. I missed her some days when she came late, but not very many. The more time I spent with her, the more curious I became about why she hated the Reverend so much. At the time, I saw hating the Reverend the same as hating God. And I worried about what God’s thoughts were about me: The more I spent time around AnnaTee, my shame of my father’s ignorance and poverty seemed to keep growing. “You go to college?” I asked. “He wasn’t reverend. He was base. The whole world was blinded by his smooth tongue.” Her anger surprised me again. “He did good for the ordinary folk. I read it in the paper at school,” I said. I had stayed after school to learn about the Reverend. I saw pictures of him with the President, the Secretary of State. In one photo, he had his arm around Martin Luther King. “I can’t believe it,” I said. The Reverend was a great man! He had died for all of us. He didn’t give a damn about bad people hating him, trying to hunt him down like wild boar. She was shaking, and I felt bad for causing it. I searched for a word to soothe her, but I was lost. “Maybe he didn’t mean it,” I said. “Of course he meant it!” She hung her head and closed her eyes, and I just watched her for many minutes. Then she looked at me, her forehead ridged with lines of determination. “Come with me,” she said. She was breathing hard and walked with long strides like she was on a freedom march. She led me straight to Father. The sound of the hammer striking the metal quickened a little. “Shut your mouth,” my father said, moving the chisel to a new sight, starting to strike again even faster. “Ain’t your doing,” he said, his voice seething. My father dropped the chisel and raised his hand. I lunged at him grabbing his arm. He shoved me to the ground. I moaned from a pain in my leg. My father picked up the chisel and went back to working. He was trembling. “Come,” I said, grabbing AnnaTee’s arm. I moved her toward her car. “Don’t say no more,” I whispered. She broke away and ran back to my father. “You’re evil,” she yelled. My father threw his tools to the ground within inches of her feet, his tight fists at chest high. “Loosen up. Let the good times roll.” Anna Tee laughed. My father glared. “She loved another,” he said. “Oh! That’s so sad. Boo hoo,” she said. “Maybe. Maybe not,” he said. Slowly he opened his hands and lowered them to his sides. He headed toward the house. She hissed. “I hate men,” she said as I walked with her back to her car. Soon after, AnnaTee stopped coming. She told us she had argued to the court that she had come on and off for three months and that was enough. The judge had agreed. It took Father another two months to finish the Reverend, and when the statue was washed and treated, my father said for me to call and tell AnnaTee when he’d have it installed. I walked toward the state route, then turned up the levee road to go to Aaron’s Shell and Grocery store, where there was a pay phone nailed to an outside pole. I dialed AnnaTee’s number and knew her voice when she answered; I’d been cursed to remember it in my lonely times often enough. “I’ll see if I can make it,” she said. Then I called my father’s cousin Arno in Morgan City, who hauled trash in a truck big enough to lay the Reverend down for the trip to New Orleans and who owned the unbroken pulleys and intact chains to get him upright again. I skipped school and rode in the truck the eighty miles to New Orleans between Father and Cousin Arno, and helped them bolt the Reverend – after dark – in his final resting place above the tomb, which was no easy task since he was over eight feet high and weighed more than half a ton. I stayed the night with Cousin Arno’s sister-in-law, who lived in the Treme, and I got to walk the streets of the French Quarter. The next day, Father, Cousin Arno and I went to the cemetery about an hour past sunrise. AnnaTee was there waiting! After a few moments, her mother came, and then friends of the Reverend, and even two crews from TV stations in New Orleans. The Reverend was covered by six sewn-together bed sheets that were held tight at the base by a rope. A minister of God climbed up on the tomb, with my father’s help, to speak about the Reverend, and to God. I went to AnnaTee, who stood off from the crowd a little. “Hi.” It was not what I wanted to say. I wanted to tell her how much I’d missed her, how I wished daily she’d come to see the Reverend – and me. She stared at the fluttering sheets. A breeze gusted, and the sheets flapped. “You want to see him?” I asked. “I dread it,” she said. I was inches from her, and I could sense how tense she was. My father walked over to her. “I brought my checkbook,” she said. “He paid you for his statue?” She sounded as if she thought my father was lying. It was all news to me. “Bought his own monument!” she said mostly to herself, shaking her head. The minister had finished his words to the crowd, and Cousin Arno cut the fasteners and the sheets fell. AnnaTee’s face didn’t change one bit. It was like her features were in stone. From a distance, I looked up to the Reverend, standing straight as a tree, his arms crossed over his chest and resting on his stomach. He was in a suit and a tie; his feet, in fancy tassel-shoes, were set together, and were small like his hands. The pale stone made him ghost-like, and at first look, he seemed angry, mostly in the way he stood. But as you studied the lines in his face and his granite eyes that looked down, the anger faded: He showed fear as plain as if he’d been alive and ready to speak. He’d been alone in the world. AnnaTee felt something too. As if the Reverend himself was talking to her mind. She cried. I’d had little experience with women, and I turned to Father standing behind us. For the first time I could remember, my father’s face softened and his mouth turned up a little, not much at all, but a lot for him, and like a bolt of lightning from a grey sky, I was proud of him. Proud of his work. Proud what he’d done for the Reverend, who was, as promised, bigger than life. And for AnnaTee, who had her inheritance. I smiled back. “What you think?” I said to AnnaTee. “I think he was a great man,” I said. “It’s not what I expected to feel,” she said. Her face softened with a little less hate than before. Being sweet wasn’t at all what I wanted to hear, but I formed an immediate plan. I would stay with my father on the property until I finished school. I would grow up and be educated. AnnaTee would learn to love me. But the truth still hurts, even after these many years. Papa died when I was in college, and the letters I wrote to AnnaTee came back unopened. I never saw her again. 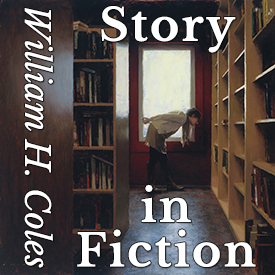 I came across this because I was doing research on my great-great-grandfather, who happened to be an English stone carver who emigrated to the states named William H. Coles. While this didn’t fit my research needs, it was a great read and I’m glad I found it. My mother told me once, there are two sides to every story. You wrote with building emotions of hurt that we hide inside. And yet we feel compelled to do what is right even through pain and anger. Thanks William for the thought. Great story. It compelled me to read on and gave me a real sense of who the manin character was. I felt the pain of the father and Anna Tee. This is a beautiful story, filling my eyes with tears. Thank You for writing it William.